With PerformancePro Pumps only water is more dependable! Every exceptional product line features a wide variety of water pumps for a broad range of applications. Performance Pro Pumps offers a broad spectrum of motors, pump materials, seals and elastomers providing exceptional application flexibility.PerformancePro Pumps is a company born of the idea that not all water moving needs are created equal. So, they set out to build the perfect pump to provide excellent energy efficiency with a diverse range of water pumps manufactured right here in the USA. Specializing in the manufacturing of non-metallic centrifugal pumps, the water pumps show off excellent energy efficiency, outstanding reliability and superior corrosion resistance. 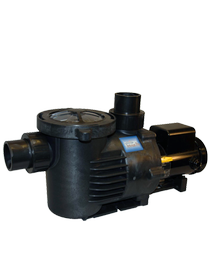 The best Pumps for Koi Pond filtration on the market today. The pumps are the most energy efficiant and lond lasting. External pumps come with a 3 year warranty and Submersible pumps come with a 2 year warranty, Simply put, you cannot afford to go with any other pump brand!